Star Wars: Episode IX co-writer and director J. J. Abrams recently revealed that Carrie Fisher will be returning in the final installment of the saga through unused footage from The Force Awakens. We have now learned some additional information about Carrie’s return. 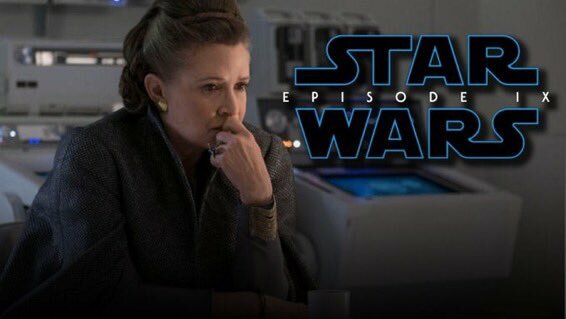 In an appearance this week on The Resistance Broadcast, ABC News’ Clayton Sandell told us that Carrie’s brother, Todd Fisher, revealed to him that in addition to unused footage from Abrams’ The Force Awakens, they will also utilize unused footage from Rian Johnson’s The Last Jedi. Fisher went on to say that big surprises are coming from this footage, and this performance. “Big surprises with the unused footage” is a surprise in itself, as it wipes away the idea of them simply using something to give Leia a proper send-off. Either way, any additional footage they can potentially use expands how J. J. Abrams and Chris Terrio can incorporate Fisher into the story for Star Wars: Episode IX. Abrams and Terrio began writing the script last Fall, which explains why there were no deleted scenes centered around Leia on the home video release of The Last Jedi. The plan had to have been in place since they began shaping the story for the final installment, working with Johnson in learning what footage was left on the cutting room floor that they could then pick up and use for Episode IX. That brings us back to J. J. Abrams’ tweet announcing the start of filming for Episode IX. 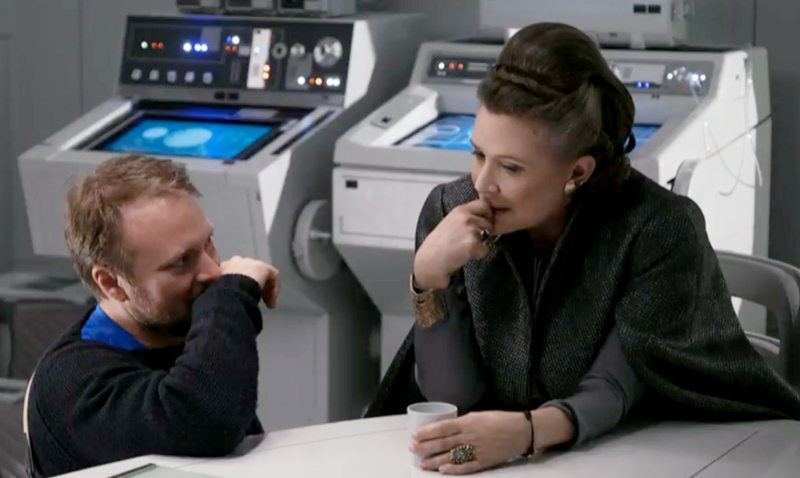 In addition to acknowledging it was bittersweet to start this next chapter without Carrie, Abrams expressed he was “grateful for Rian Johnson” who in addition to writing and directing the middle installment (which could just as easily explain that gratitude from Abrams who executive produced and publicly embraced The Last Jedi), would have clearly had a hand in providing unused footage from his chapter in the saga. Based on these Rian Johnson quotes from last December it doesn’t sound like there is much footage from The Last Jedi to use (unless Johnson was cleverly being coy considering this decision to use footage of Carrie was potentially decided upon months before that interview), they will obviously use anything and everything they possibly can to see how it can fit the story they want to tell. 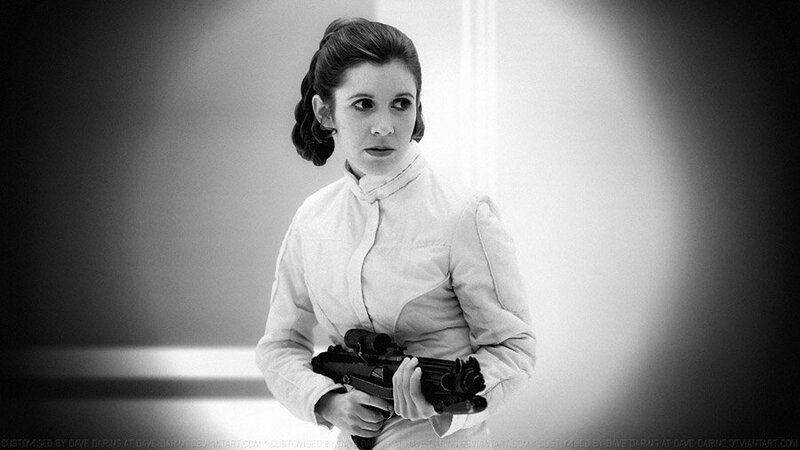 Up until now we knew J. J. had some scenes he filmed from The Force Awakens to utilize, but now knowing there is material from The Last Jedi also being used, it sounds like a truly communal effort is being put forth to bring Carrie Fisher’s Leia back on the big screen in the most optimal and respectful way possible, to nobody’s surprise. Many fans (myself included) speculated they’ll need to kill Leia off-screen, mention it in the crawl, start with a funeral, but we can now assume she will be very much alive in Episode IX (unless she appears strictly in flashbacks). This opened up a lot of possibilities to me, including the possibility of Leia actually surviving Episode IX – could J.J. Abrams actually pull that one off? A fate that once seemed unfathomable is at the very least back on the table. What if Han dies in VII, Luke in VIII, but Leia survives to close out the saga? It’s at least something we can consider, which leaves us open to all of those possible “big surprises”, as Todd Fisher phrased it to Clayton Sandell. While we don’t know what Leia’s role or fate will end up being in Episode IX, we do know that it is being handled with the utmost respect and love from J. J. Abrams and Lucasfilm with the blessing of Carrie’s family. I think it was important for Disney/Lucasfilm to not only announce their plan for Leia early on, but to make it clear her family was a big part of their decision. It immediately snuffs out wild speculation, recasting rumors, and any remote sense of backlash. I can’t imagine anyone finding the gumption to argue against a decision that was all but spearheaded by Carrie’s own family. Thank you to ABC News’ Clayton Sandell for coming on The Resistance Broadcast and sharing this exclusive information!